The literary ramblings of a destination guy traveling life's journey. 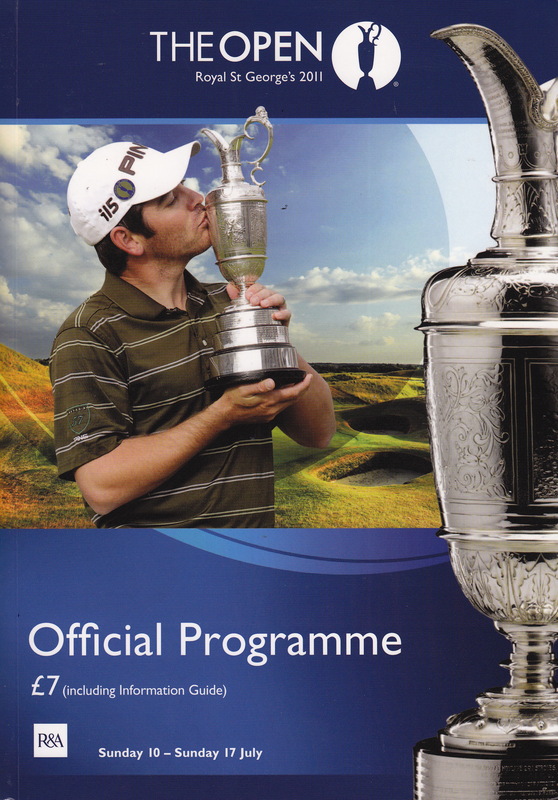 My only purchased souvenir from The Open: the program, which you needed to buy to get a course map. Brits often have a reputation for being a bit condescending toward their Colonist cousins. Since we Yanks don’t use quite the amount of starch in our shorts as do the Brits, we can come across as being rather unrefined about things Brits believe ought to have some higher level of refinement. We, on the other hand, would call Brits posh, if we knew what that word meant, but since we don’t we call Brits “snobs,” a very unposh-like word, thereby confirming our “scruffy” use of the Queen’s English. And Brits can be a determined lot when it comes to the English language. It’s now been four days since seeing Darren Clarke cut his ball through 30-plus mile per hour winds and horizontal rains to take a three-shot win over Americans Phil Mickelson and Dustin Johnson. I’m still chasing my thoughts on The Open like I chase my drives into the thick grass and tall trees. Fortunately I’m having more luck finding thoughts than balls and here are a few random observations that comprise a Yank’s view of The Open. My ticket. 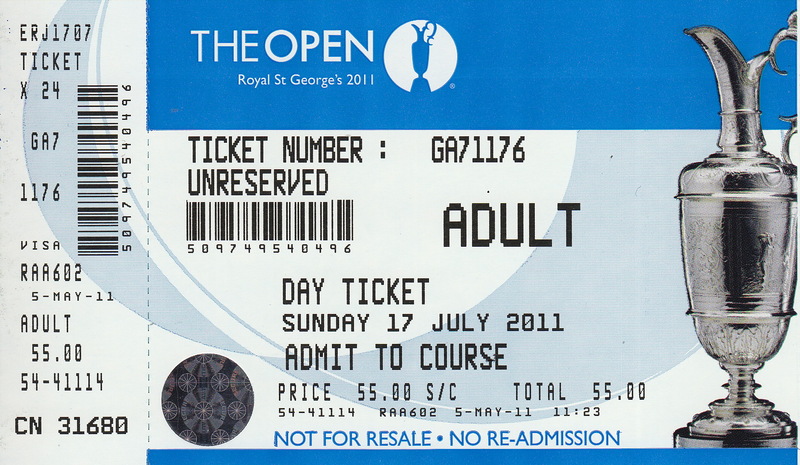 One of the great things about The Open was the cost. 55 GBP (about $75) is not a bad price to pay for one of the world's premiere sporting events. 1. Links golf. The Brits are brilliant. They’ve taken desolate coastal fields, buzzed weeds to the ground and called them fairways and mowed hilltops even shorter and called them greens. Throw in gusting winds and driving rains, charge a small fortune to play then convince we golfing Yanks there is something magical about links golf. In reality, there is. Just watching other (really good) guys play it was a lifetime experience. I’d happily lose – and probably would – four dozen balls playing a round at a course like Royal St. George’s. 2. The weather. If you want to play golf in the UK you have two choices: Get a sturdy umbrella, an expensive rain suit, a bag cover and several all weather gloves or….play when the sun is out every year sometime between 10 am and 2 pm. on April 8th. I was hoping for a cruddy weather day and got it. Four times the rain was chucking it down (as a Brit would say) with gusts of 35-40 mph. You learn quickly how to manage an umbrella or you make like Mary Poppins. The course and the weather combined easily made for a great challenge requiring great shots, and often the greatest shots were the most unexceptional – but most sensible (another good British word usage). 3. British fans. One thing I appreciate about Brits is how they willingly acknowledge effort and class. I waited near the 18th green for the last few groups to finish, wedged in with the gallery like the 13th ball in a pack of 12. The quite proper gent next to me couldn’t manage a proper clap holding his pint so he stuffed his cup between his feet and politely clapped for Phil Mickelson, despite the fact that Lefty had just minutes before skipped his second shot off the cranium of a patron about eight rows up in the green-side grandstands. “Well, done Phil,” speaking of Mickelson’s overall round that had him challenging for the lead through 11 holes. “Sporting round, that.” (Brits end a lot of sentences with “that,” as in, “clever shot, that;” or “Massive drive, that.” The proper gent later re-wedged the beverage to properly acknowledge Ricky Fowler’s effort. “Steady week, that,” he said to no one in particular of Fowler’s four rounds. 4. The Open merchandise. I’m sure it was awesome and I would love to have contributed to the bottom line but, c’mon! How do you run out of merch by 10:30 am Sunday morning? I wanted a pin flag but my options were between a few picked through hats, some overpriced polo shirts, teddy bears, balls and tees. I wound up with a program and a few thick plastic beer glasses I picked up along the trail that had “The Open” stenciled on the side. If I'd only had a camera i could have gotten a closeup of Mickelson chipping to 18 after chunking one into the stands. 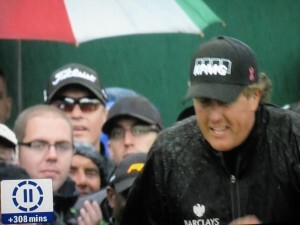 That's me in the Titleist hat appearing with Phil live on the BBC. 5. Cell phones and cameras. Not allowed. I know, I know. They can be a nuisance to players and could get you beat up if caddie Stevie Williams so much as catches you pointing your point and shoot in the direction of his guy, but how I would have loved to have gotten anything (and the lack of images is why there are scans of my ticket and program in this post). 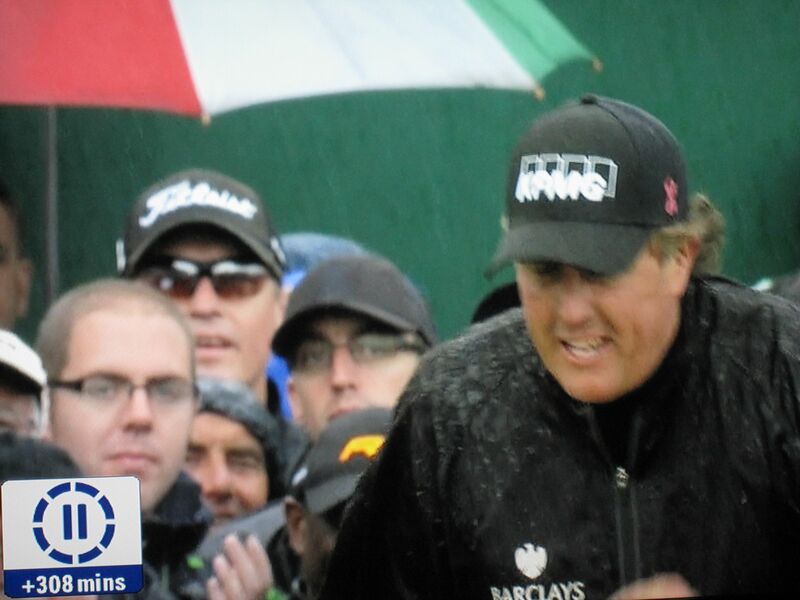 I did later Tweet that I am now globally recognized as the guy in the Titleist hat who shared with Mickelson the BBC’s Open coverage (and the picture at the right is proof). 6. Tom Watson. He makes me proud to be an American. He proves that class transcends national rivalries. The Brits love him. He reciprocates. I truly believe the reason he plays so well in The Open is because he rides the wave of support created by British fans. They are elated with every birdie and “gutted” with every bogey. 7. Ricky Barnes. So why would I include in my Open reflection a guy ranked 68th on the 2011 money list and who flew to The Open on the off chance he’d be included as an alternate (as was)? Well, because he acknowledged me and I’m now a huge fan (a friend says I’m his only fan but that’s probably not true as I’m sure his mother also cheers for him). He teed off at 8:50 am, beginning the day at 12 over par, playing to a small gallery and paired with an obscure Swede named Frederik-Andersson Hed. “C’mon, Ricky,” I encouraged as he walked within feet of me between the first green and second tee box. “Hit ’em straight today.” He turned his head slightly toward me and said (well kind of muttered), “Thanks, man.” There was no eye contact, but there doesn’t have to be for there to be acknowledgment. I felt acknowledged. 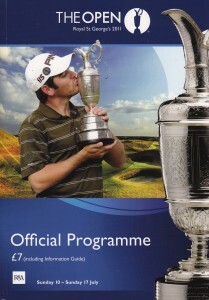 Maybe Brits seem posh to we Americans about The Open precisely because they see it as an exceptional sporting event that is uniquely British and one that can be imitated by the rest of the world but not replicated. Their view is this is the unattainable standard. After 11 hours walking The Royal St. George’s Golf Club last Sunday, that’s now this Yanks view of The Open as well.